Andreas Norman was born in 1972 in Stockholm. He made his debut as a poet, published by Albert Bonniers in 1996. After studies in political science and history, he worked in Bosnia and later joined the Swedish Ministry of Foreign Affairs. As a career diplomat, he has served as member of the Counter-Terrorism Unit at the Ministry’s Security Policy Department, working on long-term measures of terrorism prevention; as a senior officer at the Middle East-North Africa Department managing diplomatic relations with Egypt, Tunisia, and Syria during the “Arabic Spring,” and on postings in the Western Balkans and the Baltics. Andreas Norman is currently deputy chief of mission at the Swedish Embassy in Vilnius. 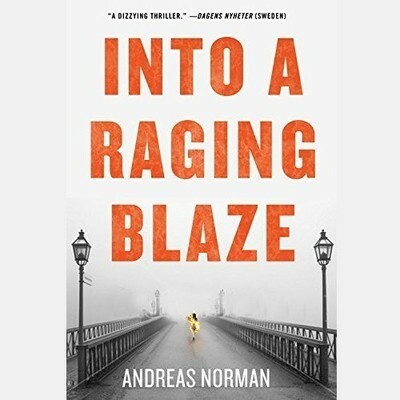 Into A Raging Blaze is his debut novel.